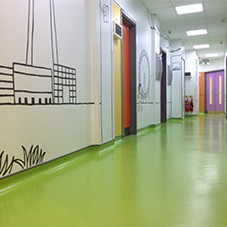 nora flooring has provided its noraplan® floor tiles for The Frank Barnes School for the Deaf. 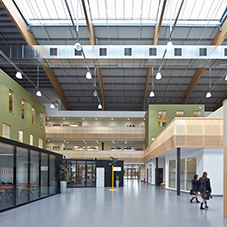 Part of a busy and loud inner-city development, the school was built not only to provide a state of the art learning centre,but also a caring and nurturing atmosphere, greatly enhanced by its light and bright interior which is both inspirational and aspirational. 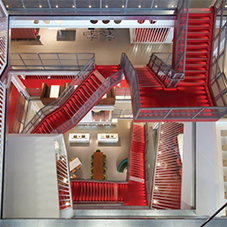 Designed by renowned Architect: David Morley, this project had specific requirements. 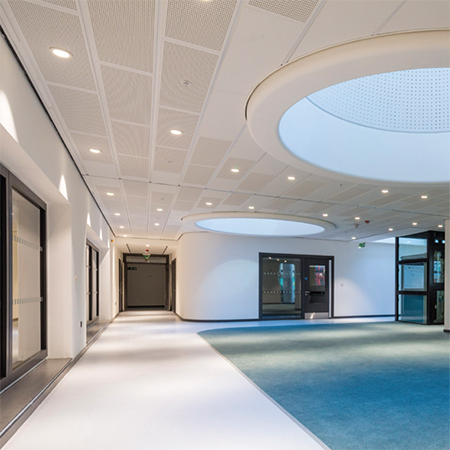 A sound reducing design means that voices do not get distorted by any muffled noise; therefore sounds are easier to distinguish between direct communication and background noise. Low impact sound was important so that footsteps do not contribute to the sound pressure level. 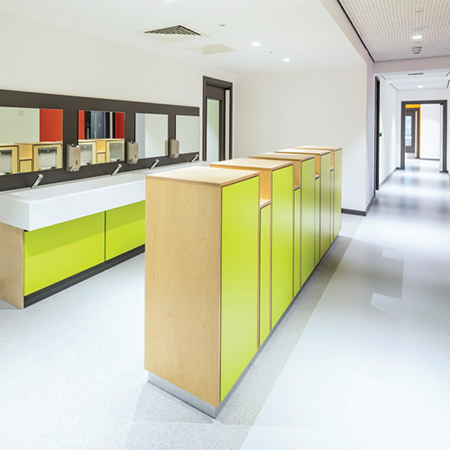 A happy light aesthetic was also a criteria – capitalising on the noraplan® sentica colour options. 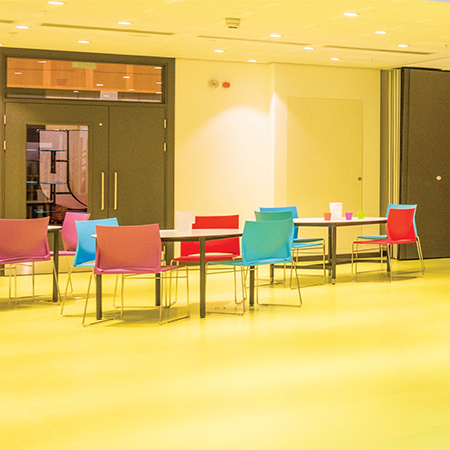 Effective & efficient maintenance was also very important, offering the nora pad system which uses just water allowed for confident selection of bright colours, knowing the flooring would not be affected by harsh chemicals. 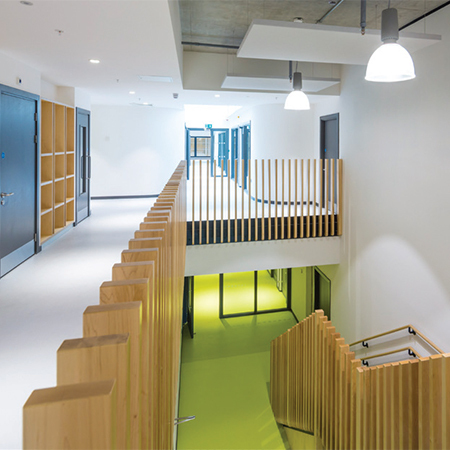 The final criteria, a low impact building, here the BRE A+ is important, however, nora® are able to offer Blue Angel Accreditation. 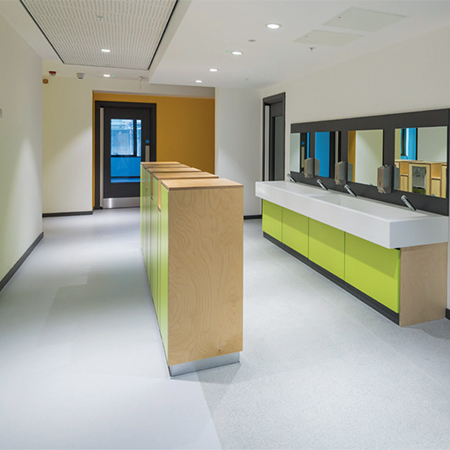 This award for low VOC’s is important, It provides the peace of mind that the floor covering is positively contributing to the health and wellbeing of the staff and pupils. It is not outgassing. The floor is stable.